Welcome to the SFRSC website! in the growth and settlement of New France. 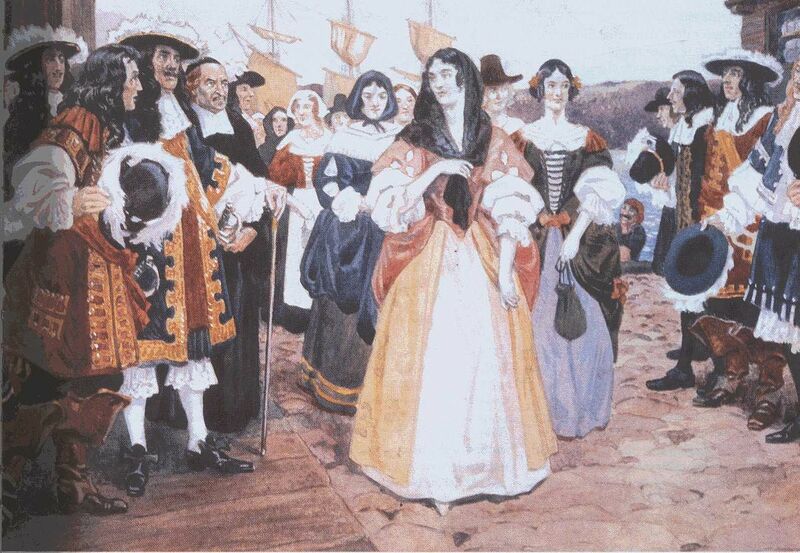 If you have French-Canadian ancestry you are likely to have one or more King’s Daughters (filles du roi) or Carignan soldiers among your ancestors. In fact, you might find that your ancestral lines include many of these women and men! You are invited to explore these pages to learn more about these pioneer seventeenth-century emigrants from France. We also provide links to other genealogical resources for those with French-Canadian ancestry. Our aim is to support individuals in their efforts to explore their family history through research and in their use of sound genealogical practices. Here on our website, you will find well-researched information on these men and women. Previous issues of our society's journal are available as PDFs in the members-only section. We hope that what you read here will spark an interest in learning more about your ancestral heritage. If you are not yet a member, we encourage you to join the SFRSC. We are a French-Canadian Heritage Association. Individuals who submit proof of their connection to one of the filles du roi and or Carignan soldiers become full members and receive a beautiful certificate recognizing their descent from one of the King’s Daughters and/or soldiers. It is also possible to enroll as an Associate Member without the requirement of submitting proof of lineage. All members receive our highly acclaimed bi-annual journal. Click on the Membership link in the Side Bar to learn more about the benefits of joining and for application forms.